Don’t you have enough space for placing an ironing board in the room? Or want to save space for keeping other things but not an ironing table? Then, you’re on right article! An over door ironing board with cover can save space in your room which you can use for keeping more important things. Now, I brought here an amazing over the door ironing board cover. Sounds different, right? Of course, it’s a wonderful essential that’ll save your time and space both at the same time. The product is from the Household Essentials, one of the trusted manufacturers. Who Is the Best user? Quality is always demanded. In that case, this product won’t disappoint the quality seekers. Thus, they don’t have to be tensed about its durability and reliability. It is durable and comes with sleek design and body. If you don’t have enough space in your room just for placing an ironing board, you must need this. 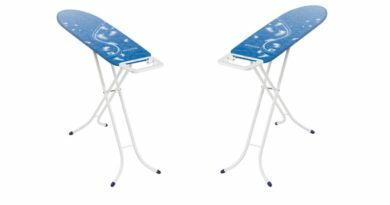 Yes, the manufacturer produced the product for those who need to place another important thing, rather than an ironing board. 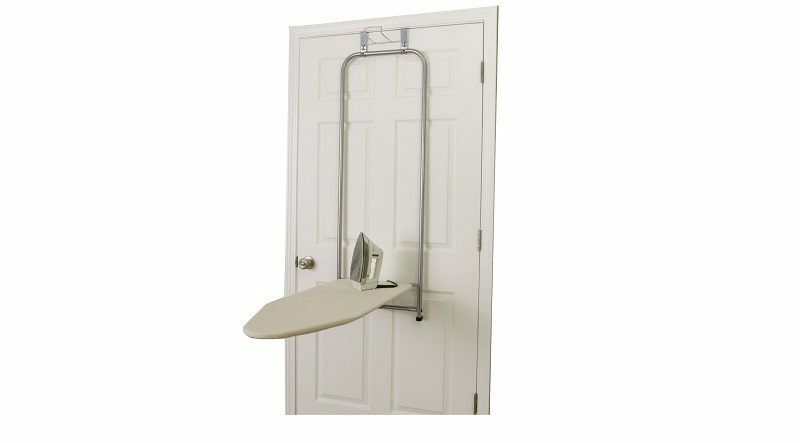 Those who need an ironing board that can be hanged over the door easily can use this over the door ironing board. No additional space is required to store it. It is portable and can be folded and placed behind the door conveniently. For new family, arranging a large apartment is quite challenging. So, to keep their small home tidy and neat, an over door ironing board can be the best help. You can fold the board up when you’re not using it just behind the door. Again, the board comes with space some spring for closing it due to tension. Most importantly, it can fold up automatically. You can also find some small iron table here. Are you tired of ironing for a long time? If it is, we have its solution. The Household Essential comes with a feet rest at the bottom of the board. When the board is opened it can be used as rest. At the time of door closing, it can be flushed securely. 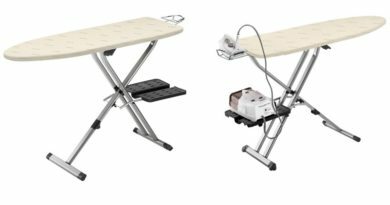 To make your ironing task more simple and comfortable, the board includes an iron holder that is built in by default. Thus, you’ll find a U-shaped bar. The bar is below the hanger. To store your hot iron carefully, it is featured. Even you can put other essentials for rapid ironing process in such precise board. Though the board is not much larger, it is enough spacious. So, you can iron any kind of clothes comfortably. Again, no more hesitations and problems for handling the clothes when they are being pressed. For one space ironing, the board is amazing. The frames for the ironing board must be strong enough to stand straight and do the job perfectly. Thus, the frame is made of steel and its high strength and can last longer. Also, the surface is steel meshed. The construction of the board is sturdy and nice. The silver steel frame also anti-rust. Saves space in your room. Can be closed softly by folding. Comes with a feet rest at the bottom. Constructed with high strength steel frame and cotton. 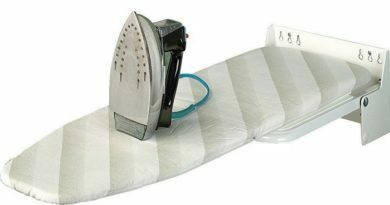 Provides iron holder for boosting your ironing up. Can be used for the professional purpose. It may be unstable when kept on the rough surface. As you have gone through the entire article, you have noticed both the benefits and drawbacks. But if you can ensure that you are going to use it on the smooth surface and don’t have many problems with that instability, you must go for it. Expect that one particular problem the `board is outstanding. 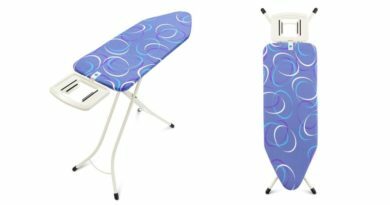 For this, we selected this product as the best the over door ironing board with cover. Very few models and brand comes with the iron holder, which our product includes. So, don’t hesitate to buy a good product! See our best pick top 10 from the home page.